How our bodies are disposed of after we die is not an effective process, or a dignified one. Embalming, for example, involves nine liters of formaldehyde being pumped into our veins. When an embalmed body finally decomposes, these carcinogenic chemicals and any chemotherapeutic drugs present in the body at the time of death will be released as a black soup into the ground and could contaminate groundwater. Cremation is not much more ecological or dignified. An enormous amount of energy is needed to burn a body. An industrial furnace, fueled by natural gas or propane at more than 900ºC, will burn for up to three hours. During the process, an operator will open the furnace and use a rake to hook the skeleton by the ribcage and move it around or crush the bones, to make sure everything is burns down to ashes. 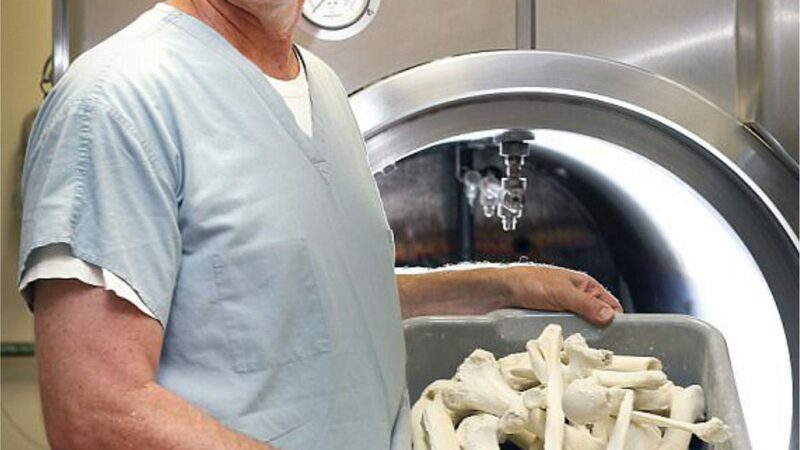 Something called alkaline hydrolysis and a machine called the Resomator bring some dignity to the whole process of disposing of a body. It is not legal everywhere, though. Despite being a much more efficient system and being less harmful for the environment, there are only three of these machines in the United States and it is actually only legal in 14 states. In Europe, no government has approved it yet, except the UK. 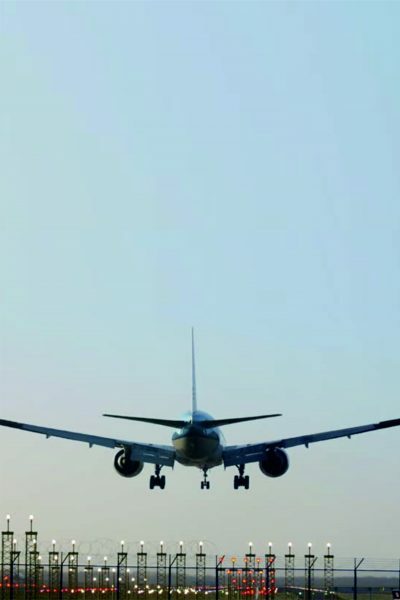 The process has been used since 2012 in California, at UCLA by Dean Fisher, director of the Donated Body Program at the David Geffen School of Medicine. Mr Fisher began his career as a funeral director and spent 20 years at the Mayo Clinic before joining the program at UCLA in 2008. The machine he runs is allowed because it is being used for research purposes and the facility has a medical waste permit. The Resomator is a high pressure chamber where potassium hydroxide is mixed with water at around 160°C, at an elevated pressure that prevents boiling. This strong alkaline base will cause everything in the body -except the bones- to dissolve into a clear green-brown liquid, containing our original components: amino acids, peptides, sugars and salts. The process takes between 4 and 6 hours. This liquid is allowed to cool down and because it is sterile, it can then be safely used either as fertilizer or simply released down the drain. Bones become porous white remains (calcium phosphate) that can be easily crushed into powder. This process has been advocated by ecological groups because it uses only one-quarter the energy of traditional cremation, produces less carbon dioxide and no mercury emissions. It is so gentle, in fact, that most prosthetics in the body can be recovered after the rest of our tissues and organs dissolve. 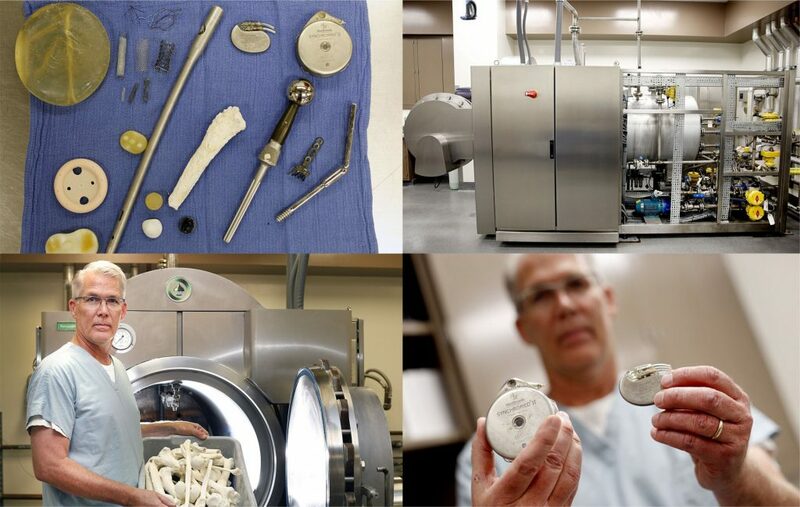 Cardioverter-defibrillators, metal hip joints, valves, stents, pins, plates, hernia meshes and even silicon breast implants can be recovered, looking almost new, and some can be then recycled to help with service costs of the machine. The inventors of the Resomator hope to have their alkaline hydrolysis accepted as a new standard soon. The machine is only as big as a small car and it’s also pretty quiet -producing only a low hum- which means it offers a possibility to design new types of spaces for death. Our death rituals could change in accordance. 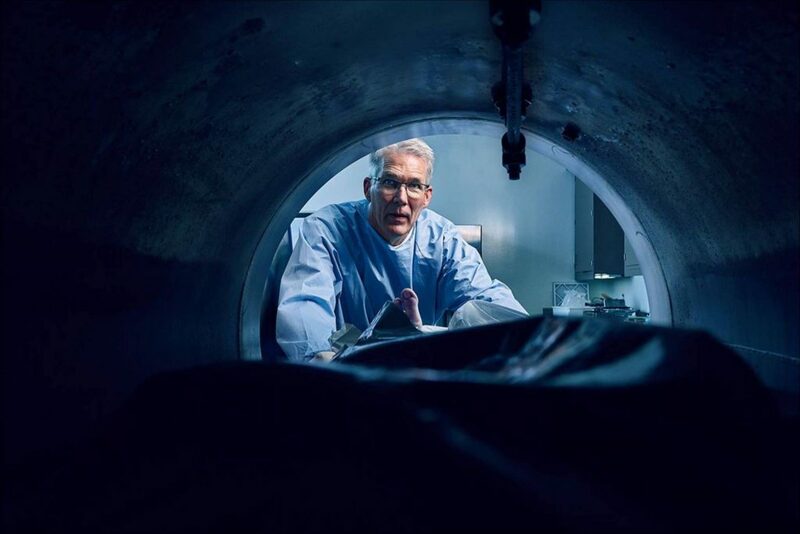 More about alkaline hydrolysis in these articles by WIRED and Daily Mail.